The Steamboy brand was created by Reliable Corporation who have been supplying a host of products for more than 50 years. They specialize in creating irons, sewing machines, fabric steamers, steam cleaners for the home as well as for dentists, jewelry and commercial use. Reliable is renowned for their first class customer service and focus on product innovation. Even though this company started from humble beginnings – out of a garage, they have certainly come a long way! Reliable T1 Steamboy Steam Floor Mop Cleaner If you’re looking for a steam mop to clean both your floors and carpets, then the Reliable T1 Steamboy is definitely an option. • Cleans Floors: ceramic, tiled, sealed hardwood floors, marble, slate and carpeted. There is no wait time! 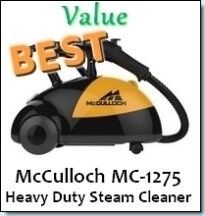 Simply, add water and power on and you’re steam cleaning in seconds. 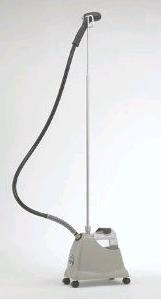 • 180º swivel head so that the mop can clean those hard to reach places. Additionally, the triangular shaped head allows for better cleaning of corners. • The tank holds 3.3 cups of water and allows for 30 minutes of uninterrupted cleaning time. The water filter is also replaceable. The presence of the water filter helps to protect against scale buildup. • 16 inch cord which is a bit short but some of the features do make up for this. • Great cleaning power. The cleaning pad gets temperatures up to 248º F. This high temperature allows the mop to cut through layers of dirt and grime. 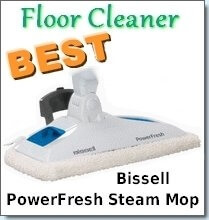 • 30 minutes of continuous steam definitely puts this cleaner at the higher end especially given the fact that you don’t have to wait for it to be ready to clean. • The cord at 16 inches is much too short. If you plan on cleaning a large area, you will have to use an extension cord or re plug into other power outlets. However, given that you don’t have to wait for the mop to be ready, this might not be so bad. 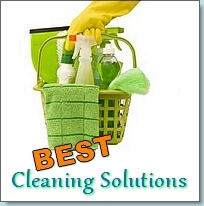 • Some consumers report that the steam mop leaves more water on the floor that it should which causes streaks. • Additionally, a major concern is that the mop head becomes saturated with water a bit too quickly and as a result water is left behind. Best-steam-reviews.com recommend that at less than $99 the Reliable T1 Steamboy is a good steam cleaner for the price range. However, we would not recommend that you use this model on your hardwood floors- sealed or unsealed simply because of the high number of consumers who report that this model may leave behind a lot of water residue. However, it is definitely a good choice for tile, ceramic, terrazzo etc. as the high temperatures cut through grease and grime. 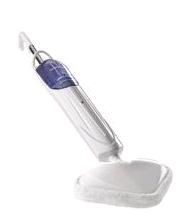 Many consumers have expressed their preference for this model over the Swiffer Wet Jet. Jiffy Steamer may sound like a cute name, but behind that name are decades of steam cleaning experience and expertise. Jiffy is the world’s oldest and largest manufacturers of garment steamers for both personal and professional use. They started in the 1940’s and have since been creating a wide array of steam cleaning equipment. Their focus is ease of use, simplicity and eradication of the ironing! I don’t know about you, but I definitely dislike ironing, however, I’ve found that using a garment steamer is up to 5 times faster than traditional ironing. Not only is it faster, but a whole lot more fun! This steamer is recommended for home use but can also be used for light professional use. 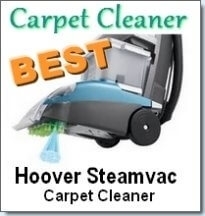 At $148.47 and with a 4.5 out of 5 star rating, the Jiffy steamer is consumer recommended. Why? We shall take a quick look at what makes this steamer so great. • It provides 90 minutes of steam time with only 2 minutes of required prep time before it is ready to steam. • The 6 inch wide head has high velocity steam jets which allows the steamer to cover a wide area of the garment being steamed. • A no spill check valve which makes filling the steamer a breeze. • It has an automated safety feature which shuts off after a certain period of no use. • Can be used on a wide range of fabrics: drapes, upholstery, clothes etc. It doesn’t cause scorching or “shine” which traditional irons are infamous for. • The length of the hose is 5 ½ feet which is very flexible and is hung on a 62 inch aluminum rod. • Despite raving reviews about this product the main issue some consumers have is expecting the jiffy to perform just like an iron. Some customers report that the Jiffy doesn’t create those creases like a normal iron or that perfectly pressed look. Expecting a garment steamer to replace or perform exactly like an iron is unfair. The two technologies are quite different. Steaming your garments is still a much better practice since ironing effectively damages clothes over time by flattening the fibers. The steamer fluffs those fibers to give your clothes a soft, clean look. So if you would like to add some life to your clothes, then the Jiffy Garment Steamer is definitely an option you should consider. Black And Decker Steam Cleaner Review – Black And Decker steam cleaner reviews and tips for making the most out of your Steambuster. Hotsy Steam Cleaner Review -Hotsy Steam cleaner reviews and the Hotsy legacy. Polti Steam Cleaners Reviews -A review of Polti steam cleaners and their various models. Conair Steam Cleaner Reviews: The Conair SC20, SC10 & SC11L -Conair steam cleaner reviews. We cover the SC20, SC10 and SC11L models in this article and look at both the pros and cons of each steam cleaner.